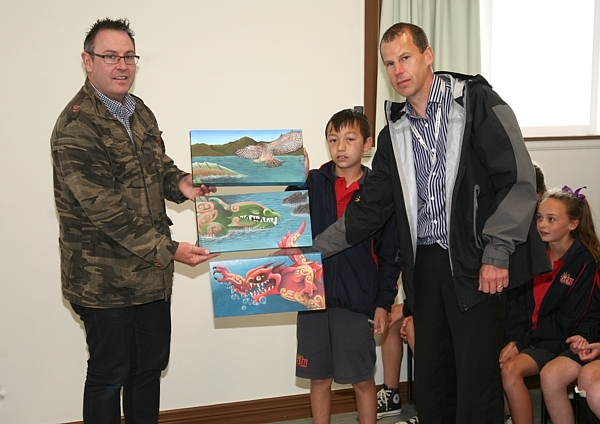 On Tuesday 26 November 2013, a group of representatives from Newlands Intermediate School came to gift a triptych art piece painted by talented young student Thomas Strawbridge (12yrs). A triptych is a work of art (usually a panel painting) that is divided into three sections. Thomas was commissioned by Newlands Intermediate to acknowledge Ngā Hau e Whā o Paparārangi Marae and further solidify our relationship with the school. 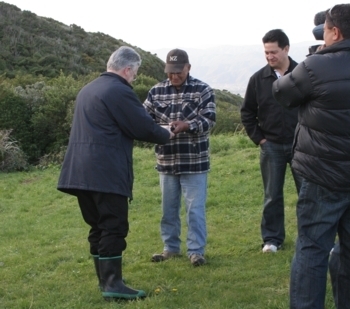 A p ōwhiri was held followed by the gifting of the triptych, which depicts the legend of Ngake and Whataitai. The legendary home and playground of the two taniwh ā can be seen from the site of our marae. Thomas said he drew his inspiration from a visit to the marae where his syndicate was told the legend of the two taniwh ā . From the back of our own little slice of paradise, students were shown various landmarks and Thomas' own creative imagination went to work. This was a part of the school's context for learning in term 1: Wellington-the Coolest Little Capital. In response to this treasured koha, on behalf of NHEWOP marae, our very own Raranga group presented Thomas with a pikau (flax backpack) made from flax grown in the area. We would also like to acknowledge Newlands Intermediate School for their consistent support and commitment to NHEWOP marae. [ CLICK HERE ] to view some photos. Another awesome St Brigids Festival was held this year at Newlands Intermediate with majority of the Northern Suburbs Schools performing Kapa Haka including our own Performing Arts Group. Well done to all who organied and performed in the fesitival it was a great celebration of Kapa Haka. 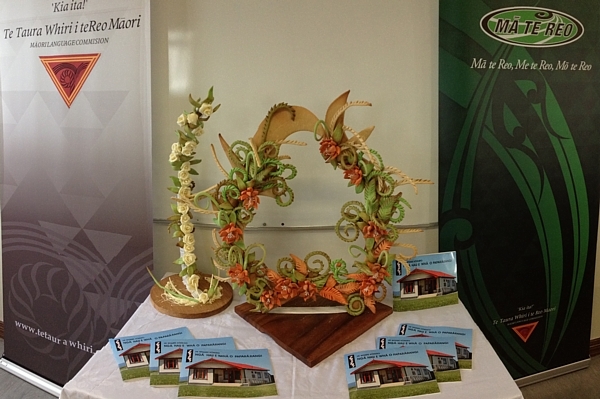 Ngā Hau e Whā o Paparārangi was presented the Mauri and will be hosting the St Brigids Festival in 2014. 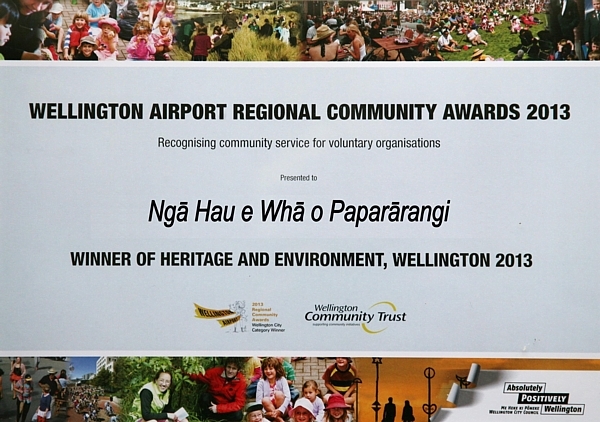 Ngā Hau e Whā o Paparārangi were announced as the Winners of the 2013 Wellington Airport Regional Community Award for "Heritage & Environment Award!" Thank you to all our wonderful volunteers because without you we would not have been able to accomplish the many projects that we have completed and the many projects we still have to come! 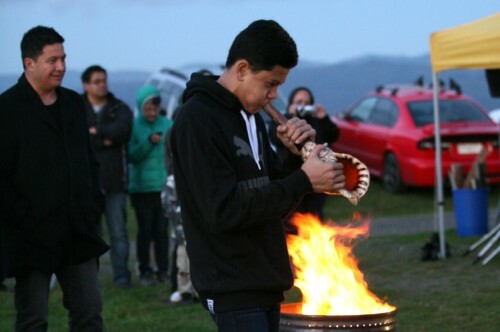 "Ma te tini, kakaa ake te ahi"
"By the contribution and participation of the many, the home fire will be kept alight"
Wellington Community Trust, and the five local councils have joined together to recognise the work carried out by community groups in the wider Wellington region. The focus of the Awards is to reward the valuable contribution made by volunteers and Ngā Hau e Whā o Paparārangi have been fortunate enough to have had the contribution and participation of many individual and group volunteers. We held our AGM on 30 June 2013 big thanks to all who turned up. We will be posting more information on the AGM in due time. We also had Dr Pauline Harris who gave a presentation on Maori Astronomy. 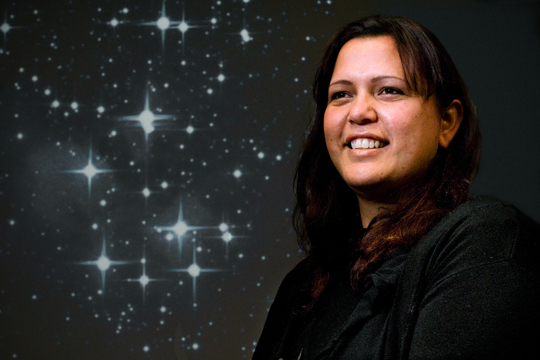 Dr Pauline Harris chairs a national research group called the Society of Maori Astronomy Research and Traditions (SMART) which is carrying out a New Zealand-wide study on Maori astronomy. 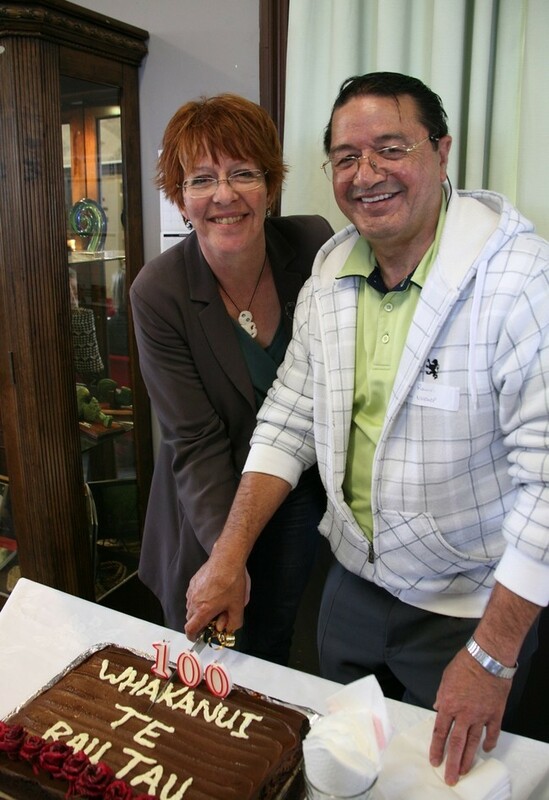 Sunday 25th November saw NHEWOP hold their Buildings 100th Birthday! Our Kapahaka group welcomed our manuhiri with a powhiri and after the hariru performed a short bracket to entertain all those gathered. Among our visitors were Rino Tirikatene, MP for Te Tai Tonga, our mayor Celia Wade-Brown who gave a lovely speech, Paul Eagle (WCC) and our very own Bill Rawiri, Peter Gilberd and Joe McLeod who all made everyone feel welcome with speeches on behalf of NHEWOP. Displays were available to peruse and included an historical view of our Papakainga, a rongoa and a raranga display representing our 20 year Project. 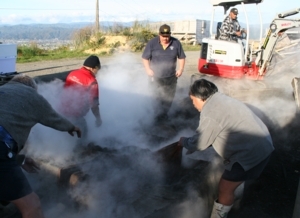 A complementary hangi was enjoyed by all who attended, served by our kapa haka students and whanau helpers. A delicious chocolate birthday cake was presented with Lois Robertson having the privilege of blowing out the candles and Bill Rawiri with Mayor Celia Wade-Brown having the honour of cutting the cake. The final event to finish the day was planting special plantings by Rino Tirikatene , MP for Te Tai Tonga, our mayor Celia Wade-Brown to commemorate the occasion. Thank you all for your kind and generous gifts and thank you to our honourable guests, our whanau, our community and supporters of NHEWOP for coming to help us celebrate this wonderful milestone! By the contribution and participation of the many the home fire will be kept alight. Ma te tini ka kaa ake te ahi. Tuesday, 21 August 2012, A major milestone for Newlands, the opening of our own New World. Work has been ongoing for months and finally the day has arrived. Around 6AM the local Iwi came to bless the New World whare, the ceremony was warmly embraced by Owner Operators Ross and Donna Jordan. Around 8.30 AM the Newlands Community turned out and were buzzing with excitment. All came in support of the opening along with Hon. Peter Dunne, Celia Wade-Brown (WCC Mayor), other Councillors and local community groups including Nga Hau e Wha o Papararangi . Special Guest Evelyn Hutchins who reaches the grand age of 99 in October 2012 has been given the honour to officially cut the ribbon to open this grand supermarket. Our Kapa Haka performed which set the tone of excitment as finally the ribbon was cut and New World Newlands was officially opened. It was a great morning, all the best and welcome to Ross and Donna Jordan. 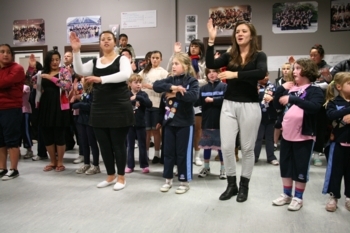 The Newlands Brownies came up to have a Marae experience, the brownies came up on a Kapa Haka practise night. They joined in on the singing and performing, we also shared a supper with them. It was a great evening. Fun day for all the family, Free parking. 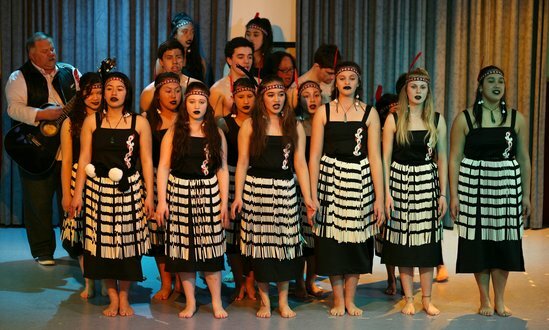 Bands, Marching Girls and Kapa Haka performances. Be quick to get a Hangi ticket only $8, Face Painting, Food Stalls, White Elephant, Games, Arts and Crafts, Push and Play and much much more. Ngā Hau e Whā o Paparārangi Kapa Haka discovered just how chilly it can be at 5 am. Not only is the sun not up, the moon is still glowing. Our rangatahi did us proud as their voices resounded at the opening of the Community Centre. The harmonious mix of voices uplifted the soul and those present, including Wellington City Councillors were mesmerised by our rangatahi ataahua! Our Kapa Haka were privileged to perform at the opening of te Puna Reo, Thorndon Quay in April 2008. Great milestone for te Puna Reo, Thorndon, Great performance by te Kapa Haka. 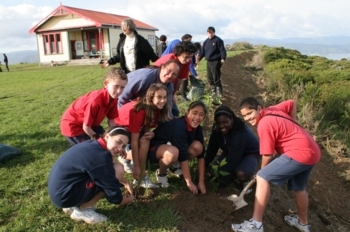 During our Arbor Day Event on 5 June 2008 our first order of the day was to acknowledge Joe Gates. Thanks to Hon. Peter Dunne who gave a brief history on the work of our Life Member and his efforts on behalf of the society. 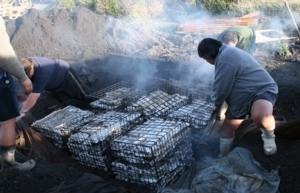 A look at our awesome fellas working behind the scene at our Hangi, May 2008. Thanks to all those members of the community who helped with the preparation. What an awesome morning, you couldn't ask for more, another calm day in the suburb of Newlands. The sun was out and so were some dignatries and local community members, around 100+ people turned up. The event started out with some formalities, a welcome, few brief speechs, then down to business. 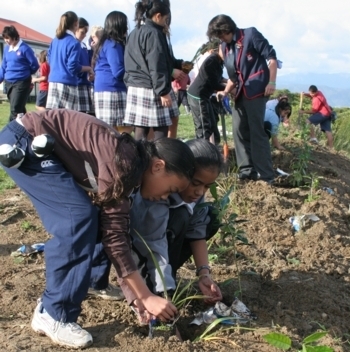 All the schools that attended were given a plot of ground to plant. The morning concluded with warm milo and nibbles. The morning began at around 10am with a whakatau. the Hon. Peter Dunne, Billie Tait (WCC), Mr Grant Jones (Principal, Newlands College), Mr John Murdock (Deputy Principal, Newlands College) and Mr Joe Gates (Life Member Ngā Hau e Whā o Paparārangi). It was great to see local community members and our local schools represented. Schools attending: Newlands College, Newlands Intermediate, Bellevue Primary, Bellevue Kindergarten, Paparangi Primary. We had around 20 people within our Newlands community, representing NPPA, The Resilience Project, Paparangi Scouts and Cubs and NHEWOP Whanau attend a First Aid Course held at our Papakainga. The first aid course run by Rau Sparrow from MediTrain and funded by TPK. Items covered were first response at an incident, Choking, Bleeding and CPR. Those who attended all learnt and practiced CPR on adults, children and infants, using 30 compressions to 2 breaths on all, improving confidence in ourselves. The support, help and feedback being given to each other throughout the two days was amazing and showed the true community we belong to. Well done to all, certificates were presented and new friendships where made. Be sure to make the next course. Why not register on our Reslience Newsletter for continual information on Emergency Preparedness and Resilience for the Newlands Community . [ CLICK HERE ] for some tips, hints and links. Our Emergency Preparedness and Resilience for the Newlands Community was held on Sunday, 6 May 2012, from 1PM to 4PM, we also had hangi for sale on the day which was lifted around 4PM. The day was awesome, along with the weather, a Jumping Castle, our Raranga Weavers group, other groups and activities, and of course our community children and adults alike, enjoyed the sun, view and information provided. What an awesome event to celebrate Matariki, an evening of traditional Māori game Ki o Rahi and other Māori games, presentation of traditional Māori Musical Instruments, Kapa Haka performance, Hangi. Overall the event provided a general feeling of excitment and entertainment and friendship. On 15 December 2013 Ngā Hau e Whā o Paparārangi launched their Kawa & Tikanga Book / DVD, first edition. This book and dvds contain information about our history and the protocols we aspire to follow. Special thanks to Ma Te Reo in enabling this project to be achieved. We also took this opportunity to share this special day with our sponsors and kaumatua for all the support we have received during 2013. An Acknowledgement was held for all those who supported the Christchurch Earthquake victims, who sought refuge at our local Papakainga. Supporters and their families were invited to attend an event to acknowledge the generous support they provided. Paparangi Scouts Troop enjoyed an evening with the Kapa Haka Group on Tuesday, 26 October. After a whakatau, the two groups enjoyed a kai together before the scouts troop were treated to a short Kapa Haka performance. On Thursday, 19 July, five volunteers from Mainzeal completed our 140 sq. m shade house at the Jay St community nursery. 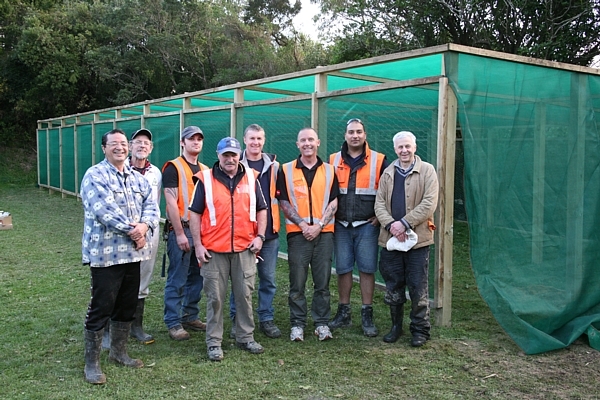 Building on the foundations laid by the Mormon Helping Hands in February, Stu, Kevin, Richard, James and Ketan erected the timber framework and attached the wire netting and shade cloth, in an amazing and sustained display of teamwork. The contribution from Mainzeal was facilitated by Judy Kerr at Volunteer Wellington, who organises corporate groups for us every year. The shade house will be used by the community and local schools, to propagate and grow native trees for planting out in local reserves, and for growing vegetable seedlings for the adjoining community garden. Thank you, Mainzeal!